2067 3 1/2 Ave, Chetek. 1 Ambulance District – Chetek, Call 924-4211 for non-emergencies. Barron County Sheriff, Call 537-3106 for non-emergencies. 1) Dallas: North Boundary 6th Ave., South Boundary Barron Dunn Ave., West Boundary18th St., East Boundary Red Cedar River. Contact Steve Lee, 837-1502 for non-emergencies. 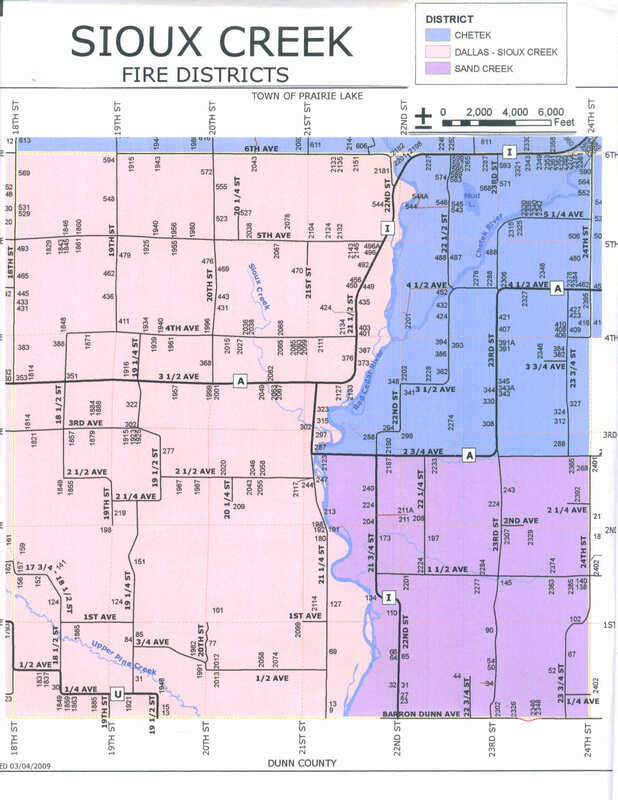 2) Chetek: North Boundary 6th Ave., South Boundary 2 3/4 Ave., West Boundary Red Cedar River, East Boundary 24th St. Contact Joe Atwood, 924-3168 for non-emergencies. 3) Sand Creek: North Boundary 2 3/4 Ave., South Boundary Barron Dunn Ave., West Boundary Red Cedar River, East Boundary 24th Street. Contact Joel Smith at 658-1795 for non-emergencies.